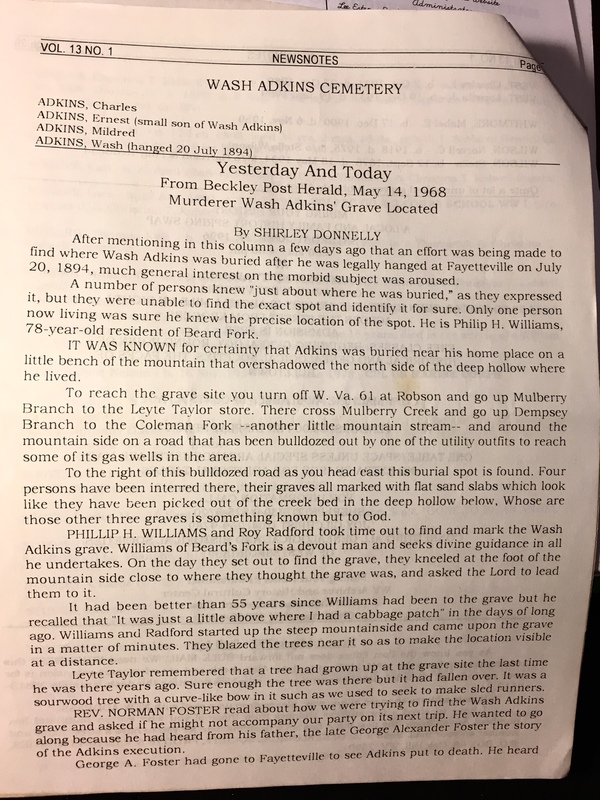 In looking through old Fayette Historical Society newsletters, I came across one with a Shirley Donnelly clipping regarding a man who was hung in Fayetteville in 1894. 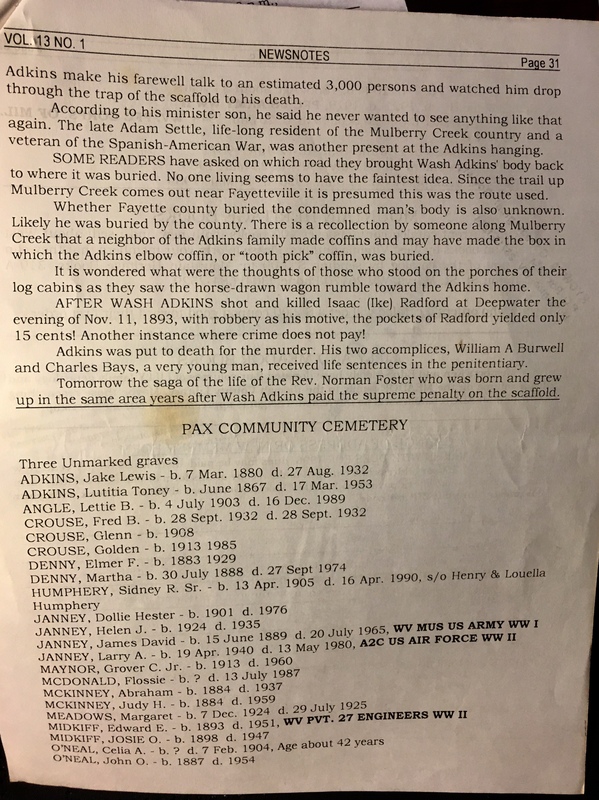 The man’s name was Wash Adkins and he was convicted of murder. I read this and I wonder – was he set up? Was he rightfully convicted? And wow Fayetteville sounds a little lawless in the late 1800s. If I find more I will post an update blog. If you now of the story or any details other than what is told here, I would like to hear the entire story. Let me know in the comments below.